Eve Online has few certainties. The profitable industrial job you put forward today can sour in a matter of hours. That friendly local which you have been chatting up for weeks can decide to hunt you today. That regional gate decides to jump you just 2 km away from the camping enemy gang. And that friendly, fresh-faced recruit that’s been so useful lately suddenly disappears, taking all the corp wallet and hangar-loot with him. This is Eve Online, a wonderful, sprawling, online sandbox where anything can happen. The universe itself rests on some hard-worn pillars of ancient design. Rules Eve players use and abuse daily, and have become a staple of playing the game as we know it. NPC stations are invulnerable and impenetrable and your assets are forever safe in them, a tick is always exactly one second, system travel by taking gates will always lead to the same gates, death of the capsule instantly regenerates you in your home station, and last, but not least, logging off your ship erases any and all traces that it ever was in space, rendering it completely invisible and invincible until you log back in again. But should the status quo remain? Each of those points can be further expanded into multi-page thesis-level analysis pieces but today we’ll poke and prod at a the mechanic of safe log off. When I was a wee lad I used to play this browser-based real-refresh-time game called Taenaria Derivia Zallus Kitara, colloquially, TDZK. In a lot of ways, it was pretty much Eve Online-Light. You could have a hundred people fighting at the same over player-built ports on planets, you had ganking trading or exploration ships, camping choke-points or stations, you had a rudimentary but important crafting system, you had players that rose to the top charts with their button-clicking solo performances as well as a wealth and variety of ship fitting options with a perceptible meta element. But it was also a more brutal mistress. You could only have a single ship at a time, and your ship was always present in the game. If you were caught AFK or just forgot to dock somewhere ‘safe’ for the night, you were fair game. Even if you docked, everything dockable in the game, including NPC stations, were ‘raidable’, an act requiring twenty or more people in dreadnaught-like hulking behemoths pounding away at a structure while logistics ships repaired station-gun damage between salvoes. An act that also upon completion tossed your ship, be you online or not, into the empty void ready to be trounced upon by the escorts in ‘warbirds’ and killed for loot or just a ‘kill’ notification. So what does an old browser-game that precedes Eve Online have to do with our current slice of life on Tranquility? Pretty much everything. Eve is easy. I have a lot to say about this, but it’s easily summed up. I’m not talking about the newbies here that barely know a scrambler from a stab, I’m talking about the vets, the guys that feel so at ease and at home that nothing in this game threatens them and everything is manageable – a matter of ISK at most, maybe. This didn’t just flow over time, or evolve from an embryonic concept; it has been this way for as long as people understood how to play the game by using some of Eve’s age-old certainties against their fellow capsuleers. And there is no sleet or dust-worn pillar that has had its engravings more worn off from constant use than the safe logoff mechanic. – Anoikis. 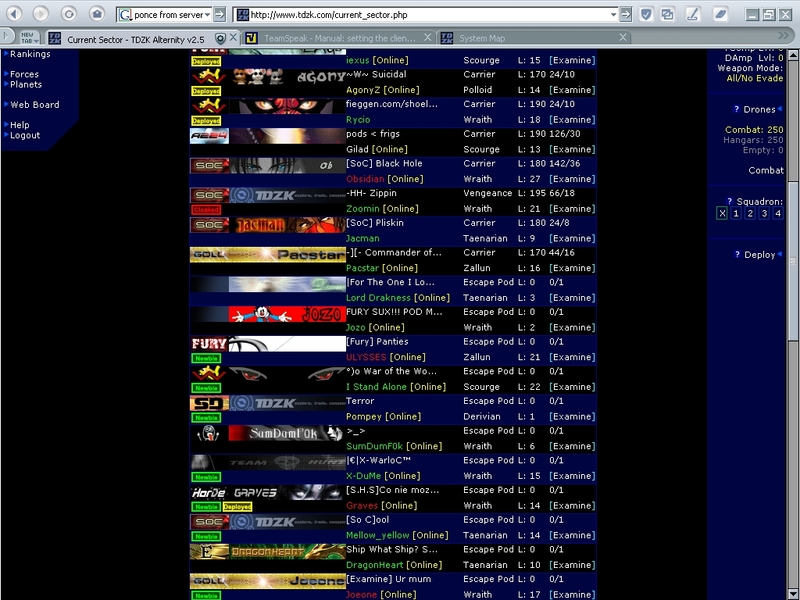 A wormhole amongst the hundreds. A dozen dreadnaughts break apart the gravitic forces that hold a wormhole together as they enter, one after another, into the white-pulsar backdropped system. Afterwards, they disappear from all known scanners and become invincible and invisible in the nether. Their pilots have logged off. This would repeat over the coming days or weeks sacrificing as many wormhole connections as it takes. Eventually the time was right. An experienced Lazerhawks FC comes from work, opens up a beer and sighs with anticipation. Today they’re evicting those poor schmucks. – In another corner of New Eden, a pilot is finishing his exploration run, surveying the loot he has snagged from long-forgotten sites. A cool hundred million, not much, not little, but he’s satisfied. He just realises his eyes are heavy with sleep, his attention is waning and 5E-EZC in far Cobalt Edge seems as good as any to stop. His fingers hover, and then click, the logoff button and within 30 seconds him and his ship filled with valuables are safely tucked away for the night. – On the other side of the galaxy in Aridia, a group of players are waiting on Mumble. They know this guy is careful, and he most definitely has scouts in place. A few jokes fly over the coms, their conclusion only to be stopped short by their lookout, uttering with a thick heavy german accent: “BREAK BREAK, GO FOR LOG IN, GO FOR LOG IN”. A few minutes later, the killboard for that sector reports a supercap kill. The owner never could see it coming. – Just to the space-north of Syndicate, a player is breathing heavily as his Micro Jump Drive enters cooldown, having jumped off the P-NUWP gate leaving behind a ragged group of players. He then warps away to a safe, stuttering to talk his blood pressure down. “Wooo, I’m good. I’m fine!”. He throws a ‘gg’ in local and sees his weapons are burnt out as well his tank. “That’ll be a nice repair bill” he mentions to himself as he warps from safe to safe until the gang leaves local, frustrated at him warping safes. He’s tired, but doesn’t need to bother right now with getting home or escaping enemy territory. He logs off. I’m sure these stories ring true to a lot of you out there, and are just taken as ‘the way things are done’, but I ask you to take a step back, forget all the times where this mechanic served you, and try and imagine this being implemented in the game in the next patch. CCP has more than a decade experience in steering this majestic ship called Eve Online by this point, having made its fair share of mistakes to boot. The community of Eve 2016 is also fantastically integrated with the Singularity test server, number crunching, theory-crafting potential exploits and applying great scrutiny to the tiniest of changes; all that eventually getting back into the hands of the developers responsible and injecting itself into an effective feedback loop. A far cry from the ‘maverick’ way of doing game development of yesteryear on such a complex machine such as Eve Online, a way that has spawned multiple design issues over its lifetime, some frustrating and some outright game breaking, that have only recently begun getting attended to. So, do you think that a feature like the safe log off mechanic, in the context that we wouldn’t have had it before, would have gotten the green light from the community, or even got pushed as CCP’s proposal to ship to Tranquillity as we have it right now? The truth of matter is that it wouldn’t. So why should we have it in the game today in the same form? But we have it. So what now? The simple slapstick answer would be ‘remove safe log off’. But as I’ve touched in one of my older articles, we don’t want to outright kill ways of playing the game, even if they spawned off unwanted or misdesigned concepts. 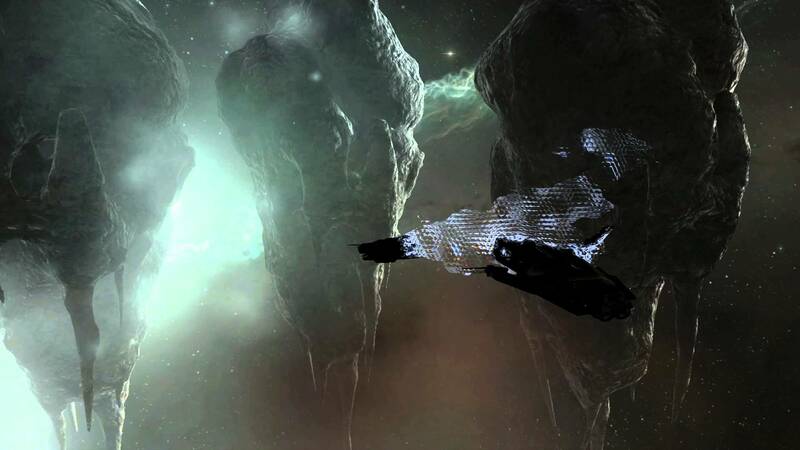 We know of CCP’s plans to add structures or maybe modules that could decloak ships within a system/range, so with forcing covops out of the easy and invincible AFK-camping position, we are further cementing this stance by also making sure such an important information relay tool can not just return to the safety of its log-in screen to stay in enemy territory unopposed. We have started some work on informational security by removing watchlists, but log in traps are still very much a thing. With persistent ships maybe we still need a way to elude and remain in hostile territory with a sliver of ability to remain unseen for multiple hours, while offline. 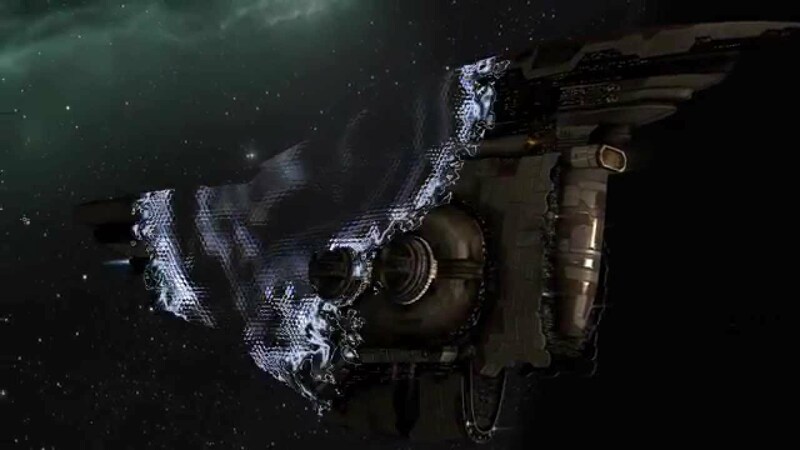 We need to rethink whether we need modules or structures to force-keep wormholes alive to allow more ships to pass, maybe create new structured gameplay regarding hole control or the amount of necessary force to evict. The consequences of chopping down this pillar are mind boggling and probably of a deeper and of wider-ranged significance than what i’ve mentioned here. But what would flower on top of the chopped husk of this pillar? A sense of power of the physical space and the distances of the galaxy that extends and reinvigorates the peril of flying your ship, be it a small Heron on a relic run that knows it most likely has to brave it back to highsec, or a Erebus that is only ‘safe’ now within the confines of an Keepstar’s inner docking rings, this married with inevitable changes to cloaking. With the future removal of invincible NPC stations from what we’d expect will be all null and lowsec regions, citadels and the new structures will become home for anyone that chooses to live in such far-flung, foreign lands. This sense of persistence and permanence that will be created should be reinforced by allowing the laws to of the new player structures to also govern individual ships. I’m sure each and every one of you has an idea on how this will influence the way you play the game, and I’m also sure a lot of you would prefer to just outright YOLO at the sun to just get back to your home station/citadel, or choosing to fly a blank capsule with a disposable fit to not care about repercussions of having a persistent individual presence in the world. But it’s all about the grays in between, and the stories this vagueness creates by removing a certainty from your arsenal. It’s no secret that the more mistakes you can make, like jumping instead of bridging or just failing to make a sov payment, the better the sandbox for everyone.